Welcome to our homepage. We breed Chinese Crested Dogs and we have been envolved with the breed since 2008. 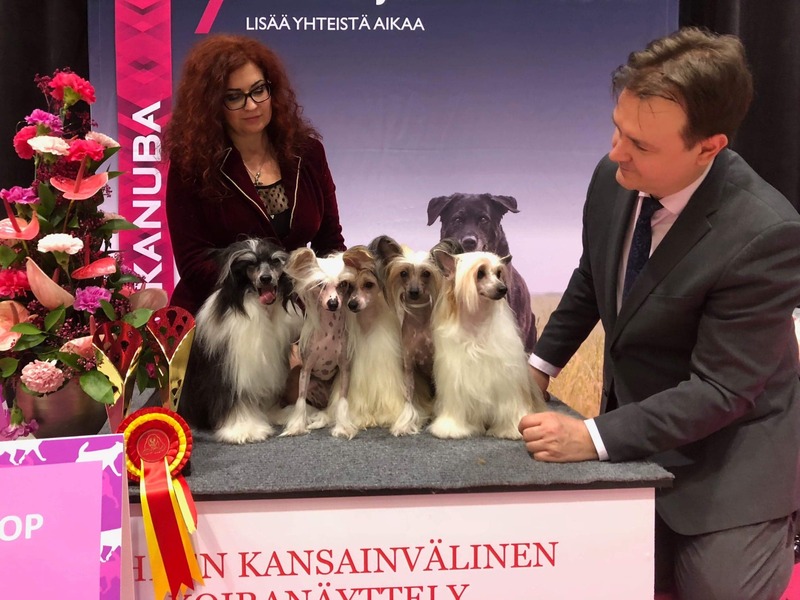 Our passion is dogshows in Finland and abroad. We live in Helsinki / Finland, in a big house and the dogs has 3 big Yards where to play. We have 1-3 litters every year and our breeding goal is to breed healthy and happy dogs with good temperament. We healtcheck all our breeding dogs atleast once a year (heart, patella and eyes) We hope that you enjoy our sites and don´t hesitate to contact us.